For modern home buyers, finding the right house is just the first step in the process of building a new life. Whether you have a young family and are looking for kid-friendly activities and good schools, are physically active and love being outdoors, or prefer to burn your calories by sipping wine or listening to live music with good friends and neighbors, finding the right community for your lifestyle is just as (if not more) important as finding the right house. Here are a few tips to help ensure that your new community has everything you’re looking for. The concepts of home and community are subjective and mean different things to different people. For some people, heaven is free-flowing chardonnay around the pool with the neighbors; for others, it’s the ability to go for a blissful hike after work or on the weekend without having to drive for hours. The first step is to be honest with yourself and make a list of what your ideal neighborhood and community might look like, along with the deal breakers (this will make the vetting process much easier). Do you require certain amenities? In addition, are you willing to make some tradeoffs in order to live in a specific neighborhood? How easy will it be to meet your neighbors and fit in with your new community? How close will you be to nightlife, entertainment, sports and other activities you enjoy? 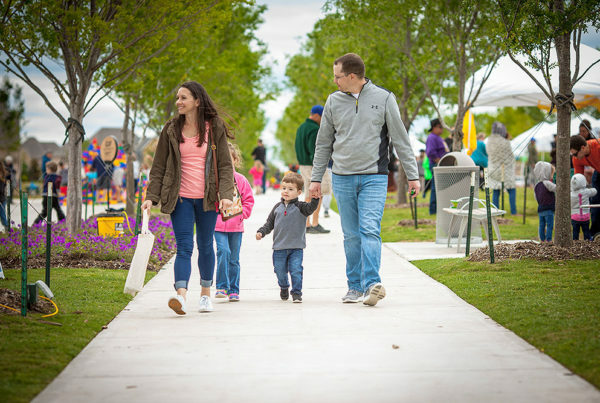 Is the community walkable, or close to a busy and thriving downtown area with ample shopping and cultural activities? How much time will you have to spend in the car to get where you need to go? Is the environment conducive to hosting family and friends as often as you’d like? These are just some of the many factors to consider when planning a move. The best communities are the ones that accommodate your existing lifestyle, but also offer new and interesting opportunities and connections to explore. Contact us today to get more information about the Light Farms community and the modern amenities we have to offer.